Aussie bears huddle up! AUD/JPY is having trouble breaking above the 79.00 major psychological (MaPs) handle, which is sitting just below the 100 SMA on the 1-hour chart. 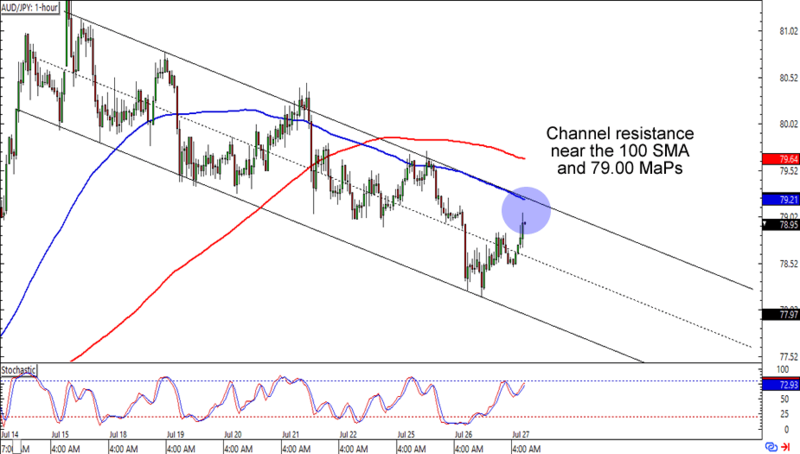 What’s more, the area of interest also lines up with a falling channel resistance on the chart. Will the bears manage to defend the MaPs? Or will the bulls step in and inspire an upside breakout? Read up on trading trends like these if you haven’t done it yet! Here’s one for the retracement hunters! 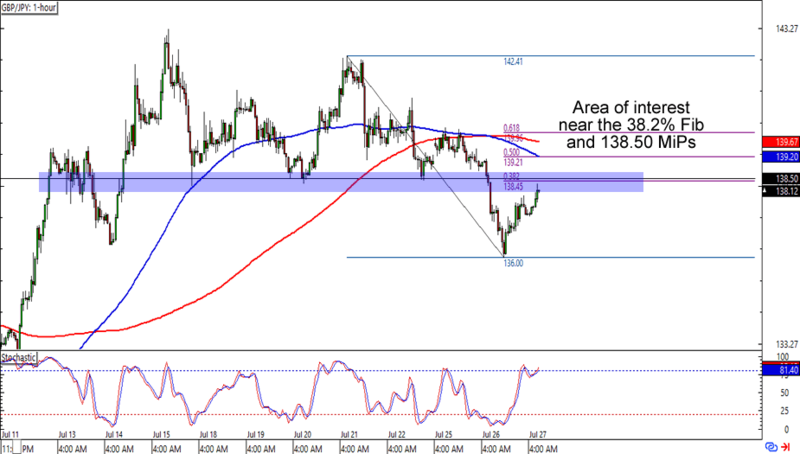 GBP/JPY is about to reach the 138.50 area, which is right smack at the 38.2% Fib on the 1-hour time frame. What makes this setup more interesting is that it also lines up with a pretty solid support level that was only recently broken. The cherry on top of this setup sundae is the 100 SMA crossing BELOW the 200 SMA. Will the pound experience more losses against the yen? A bounce from the Fib levels could drag the pair all the way to its previous lows, while breaks above the SMAs could inspire an extension of the pair’s ranging price action. Watch this one closely! I don’t always use the weekly chart, but when I do, it’s to point out strong areas of interest like this. The pair bounced from the .8600 handle, an area that hasn’t been broken since 2013. 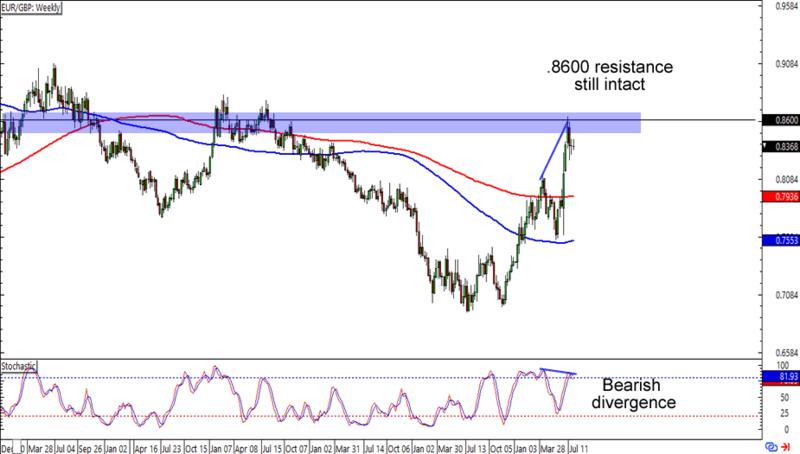 This time around a bearish divergence has also popped up to entice the bulls. The pair hasn’t bounced too far from the resistance area, so the bears can still jump in on a potential drop to its previous lows. Of course, you could also wait for an upside breakout and even a break-and-retest scenario if you’re one of them euro bulls or pound bears.